N.O.V.A. 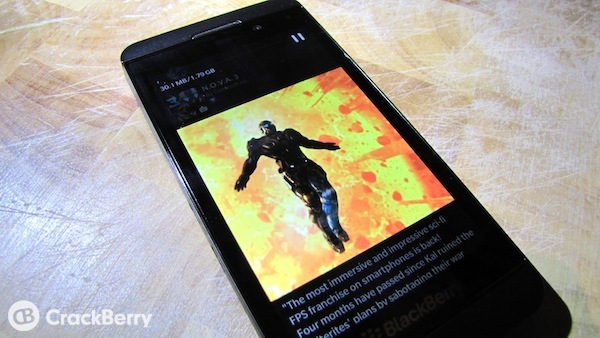 3 is the latest game released for the BlackBerry 10 OS by Gameloft. Back in May at BlackBerry World they announced there would be a total of eleven games available for BlackBerry 10 either at launch or shortly thereafter, and N.O.V.A. 3 is the 6th of those. Available so far are: Shark Dash, Ice Age Village, Oregon Trail, UNO, and Asphalt 7. If you're not familiar with N.O.V.A. 3, it's a fast-paced sci-fi action shooter that takes up soon after N.O.V.A. 2's end. You can grab it now in BlackBerry World for just $.99, quite a bit less than on other platforms.